I’ve previously blogged about the Moravian missionaries to the Lenape tribe in the 18th century and two of the most well-known were included in my Northkill Amish Series co-authored with Bob Hostetler. Samuel Kirkland was a Presbyterian missionary to the Native Americans whom I encountered while doing research on the American Revolution, and he’s referred to in my upcoming release. Kirkland was born on December 1, 1741, in Norwich, Connecticut. His father, a minister and graduate of Yale, was of Scottish descent. Samuel developed an interest in Indians during his school days at Eleazar Wheelock’s Indian Charity School in Lebanon, Connecticut—which later moved to New Hampshire and became Dartmouth College. It was there that he began to learn the Mohawk language and become interested in missions to the Native Americans. 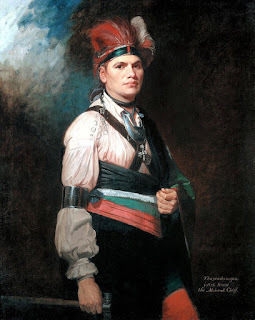 He also met Joseph Brant there, a Mohawk who allied with the British during the American Revolution and led raids against both whites and Indians loyal to the Americans. Kirkland entered the College of New Jersey, later Princeton University, in his sophomore year. He began his missionary work in 1764 during his senior year, 8 months before graduating in absentia in 1765. He traveled on foot 200 miles to Seneca territory in central New York during winter, enduring much hardship and danger with his 2 Seneca guides. Kirkland was quickly accepted into the tribe and was formally adopted by the sachem. His first mission lasted a year and a half, during which he learned the language and drafted an initial plan for teaching and preaching. He eventually became fluent in several Indian languages. In 1766 Kirkland returned to Lebanon. He married Jerusha Bingham, Eleazar Wheelock’s niece, on September 20, 1769, and purchased a small farm near Stockbridge, Massachusetts. They had several children, with one of their sons, John Thornton, becoming president of Harvard College. Because of a disagreement with Wheelock, Kirkland cut ties with him and in 1770 and was ordained by the Scottish Society for Promoting Christian Knowledge. 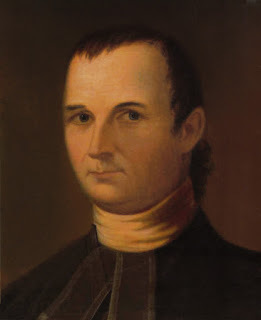 He became a missionary to and a trusted friend of the Oneida and Tuscarora, two of the tribes of the Iroquois alliance called the Six Nations, who were located at the western end of the Mohawk River Valley. He and his family lived among them for the next 40 years. 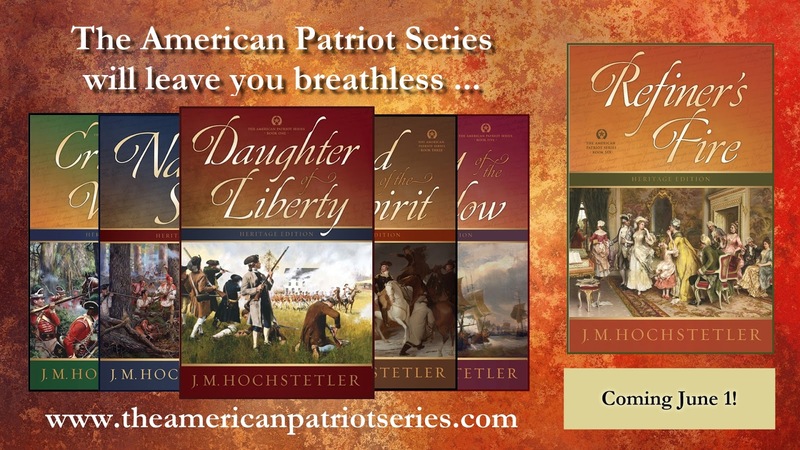 During the American Revolutionary War Kirkland moved his family back to Stockbridge for safety while he served as chaplain to American troops. Unlike the nonresistant Moravians, who encouraged their disciples to remain neutral in times of war, Kirkland advocated for the Iroquois to take the side of the Americans. Because of the personal loyalty and affection Skenandoah, an Oneida chief, held for him, the Oneida and Tuscarora did so. 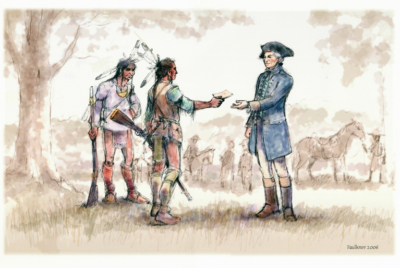 Although the other 4 tribes of the Six Nations fought on the side of the British, many Oneida warriors served in General George Washington’s army. This division within the Iroquois confederacy resulted in tragedy. A highly destructive conflict broke out in the Mohawk Valley as the opposing sides conducted raids against the white settlements and the Iroquois villages. Joseph Brant was one of the native leaders fighting for the British. Kirkland is considered by many to be the peacekeeper between the Iroquois and the settlers after the war at a time the settlers didn’t make any distinction between their former native allies and those who had been enemies. A wave of migration from New England also brought an influx of people eager to acquire land, with many moving onto Iroquois lands before they were purchased by the state. Kirkland played a key role in organizing land purchases from the Oneida on behalf of New York State, thus maintaining the peace. Because of his diplomacy, Kirkland received a commendation from Washington and was rewarded by a congressional land grant in 1785. This was enlarged in 1788 by a joint grant from the Oneida nation and the state of New York, and in 1793 Kirkland founded the Hamilton Oneida Academy for young Indian and white men in the new town of Kirkland. The school became Hamilton College in 1812. Kirkland maintained good relations with the Iroquois all his life. In 1790 the Italian explorer Paolo Andreani visited him and noted that Kirkland had collected basic word lists of over 200 languages and that the members of his congregation abstained from hunting and other work on Sundays. Andreani also described the Sunday services Kirkland conducted using translated psalms. Kirkland died on February 28, 1808, and was buried at his home in Clinton, New York. It’s a testimony to Kirkland’s character that in 1816, as Chief Skenandoah was dying at the age of 110, he said that he wanted to be buried next to his good friend Reverend Kirkland, and his wishes were fulfilled. It’s heartening to learn that so many Christian missionaries truly loved and cared for the native peoples they ministered among. They made many sacrifices to work faithfully in the Lord’s harvest fields and are an example to us today. My church supports many foreign and local missionaries who endure hardships and make sacrifices in their ministry. We also send out several groups on missions trips every year. If you’re a member of a church, do you know in which countries or local areas your congregation supports missions workers? Please share, and let’s celebrate those who are called to be missionaries today! Thanks for the post! I have some very good friends who are missionaries in Canada to the native church. They have a very interesting story, having started in Saskatchewan early in their career then moving to a couple of other places in Canada, then having their original church ask the board to have them return. What a reward for their sacrifice of service. I have a couple of other dear missionary friends. I tell them that they do my traveling for me!!! Connie, I'm just in awe of what these faithful men and women of God do and the difficult situations they encounter while ministering. They're going to receive a crown of glory, that's for sure. Thank you so much for sharing! We so often hear of how badly colonists treated the Indians that it's so nice to hear fo those who sacrificed everything to help them. Thank you! I've read a lot about Joseph Brant in many historical fiction books and narratives that I've read. And, Samuel Kirkland sounds very familiar. Very interesting post! I always enjoy reading what you write. I imagine you probably ran across Kirlkand at some point, Bev. He played a pretty important role in negotiations with the Iroquios. Hiow did I guess you would be thinking like that on FoF? Couldn't resist hassling you about it! I also know you'll need a rest. Joan, this is a wonderful account of such a rich life! I'd never heard of Samuel Kirkland. It is heartening to read about Christians who had a true and loving heart for native peoples. They are a great inspiration to reach out to others different from ourselves. Our church has a large mission budget and missionaries around the world--Japan, Malaysia, Siberia, France, and many other countries. We also support missionaries who reach out to the Arab people more locally, others reaching students on different campuses, and orphans in Guatemala. But this is not an exhaustive list. We are privileged to be part of church family so concerned about reaching others with the Gospel. Wow, your church is really involved in outreach! I love hearing that. What a blessing to see the Lord's work going on as it was in Kirkland"s day and teaching so many. Thank you so much for sharing, Kathleen! You're welcome, Joan. It was a good question! Great post Joan! I had not heard of Samuel Kirkland and his missionary work with the natives. My church has a big missionary outreach to local areas, Peru and the Dominican Republic to name a few. Even though I have not physically gone on a mission trip, our pastor says that if we support the mission trips monetarily we are part of each mission trip.